BLS Enterprises, Inc. provides quality, cost-effective, durable wear parts for construction equipment. Their reputation was built on incredible TUFPADS track pads, and it has grown to include new product lines such as a wide variety of polyurethane and rubber track pads, Bridgestone rubber tracks and undercarriage parts. BLS is your source for quality-built, well-designed wear parts that perform on the job and last longer, saving you time and money. If you wish to learn more or would like to request a quote, contact BLS today. 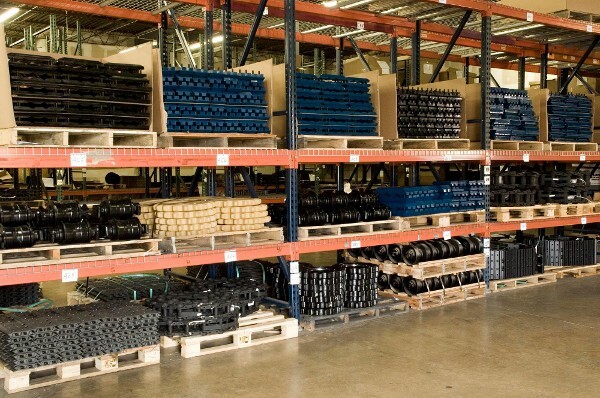 A huge inventory of OEM and aftermarket track pads, rubber tracks and undercarriage parts demonstrates staff commitment to customer satisfaction. BLS keeps your job on track, processing and shipping most orders within 24 hours. BLS Enterprises, Inc. was founded in 1986 by Barry Stoughton, a former high school math teacher who had a passion for sales and problem-solving. When a contractor mentioned his need for a better track pad for his asphalt paver, Stoughton used his prior experience with polyurethane products and came up with the idea of manufacturing the industry's first polyurethane track pads. Unlike rubber pads, polyurethane pads last longer and wear down evenly. Because of their durability, Stoughton called the new product TUFPADS. 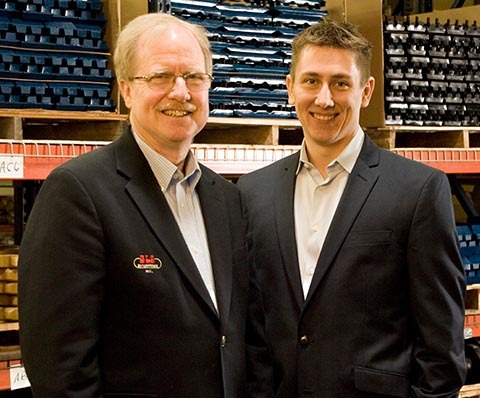 From a spare bedroom in the Stoughton home in 1986 to a 17,000 square foot headquarters today, BLS (now run by Barry's son Matt) continues to thrive with design and material innovations that bring the best OEM and aftermarket products to construction equipment owners. They have been satisfying contractors, dealers and equipment manufacturers with high-quality OEM and aftermarket construction wear parts since 1986. Their "whatever it takes" approach to customer service. Expert engineers and sales staff will help you find the product you need and ensure that it fits. Their huge inventory of track pads, rubber tracks and undercarriage parts. Orders are processed quickly and shipped from their centrally-located Midwest location. All pad orders are backed by their No Red Tape Guarantee. No warranty registration required (Your order with BLS Enterprises, Inc. is your registration). BLS Enterprises will pay freight for all improperly functioning pads to be sent to their main facility in Bensenville, Illinois, for further evaluation. BLS Enterprises will pay freight for all replacement pads to be sent to the customer. Within 24 hours of becoming aware of an issue with their pads, BLS will work with the customer to find a solution. No Red Tape Guarantee is for all track pads.